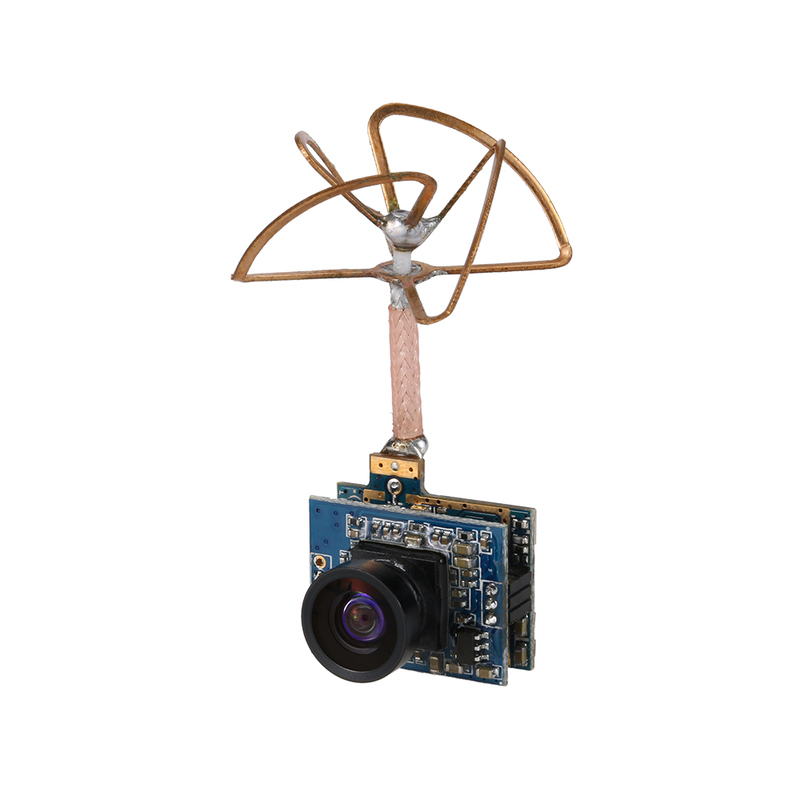 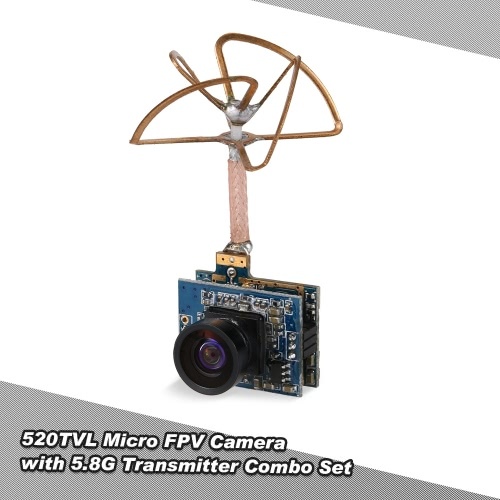 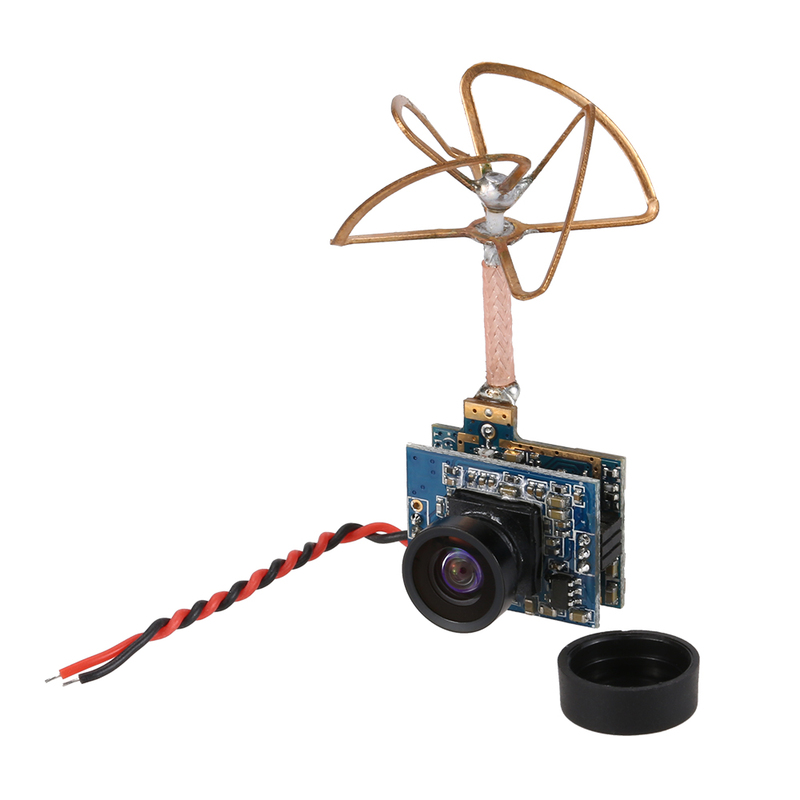 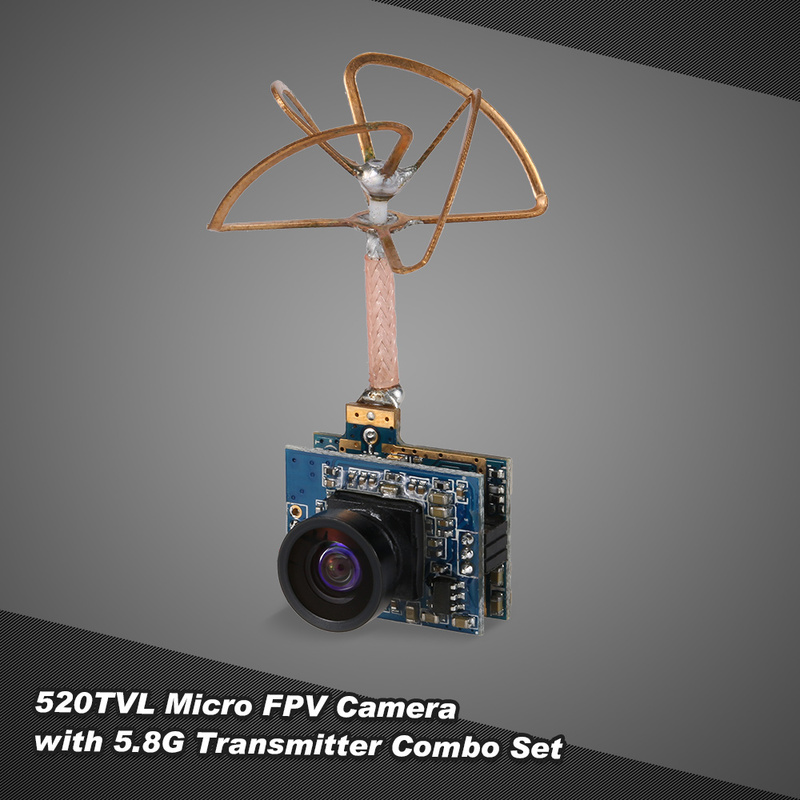 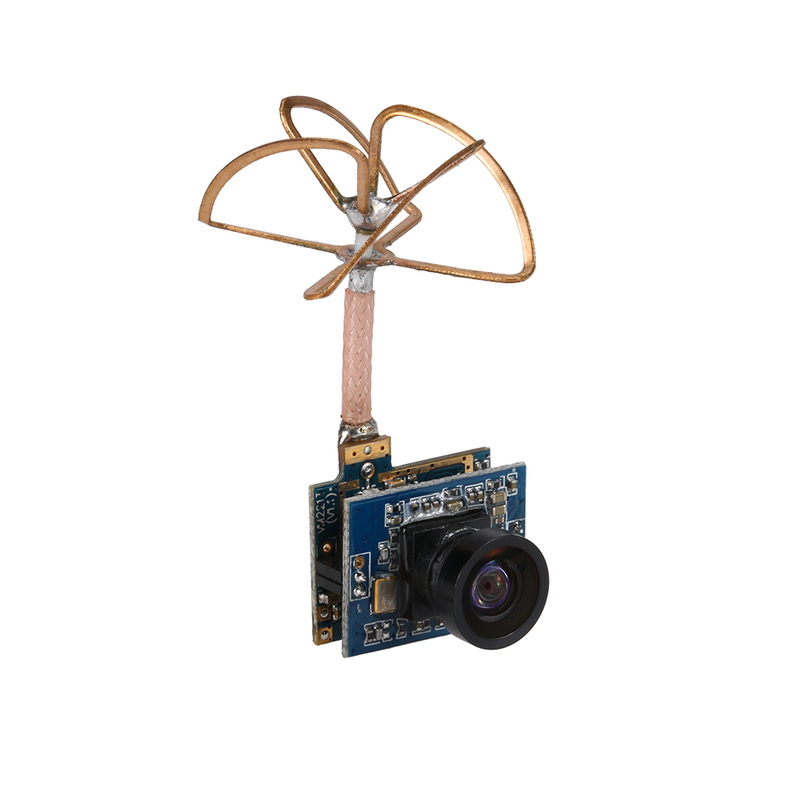 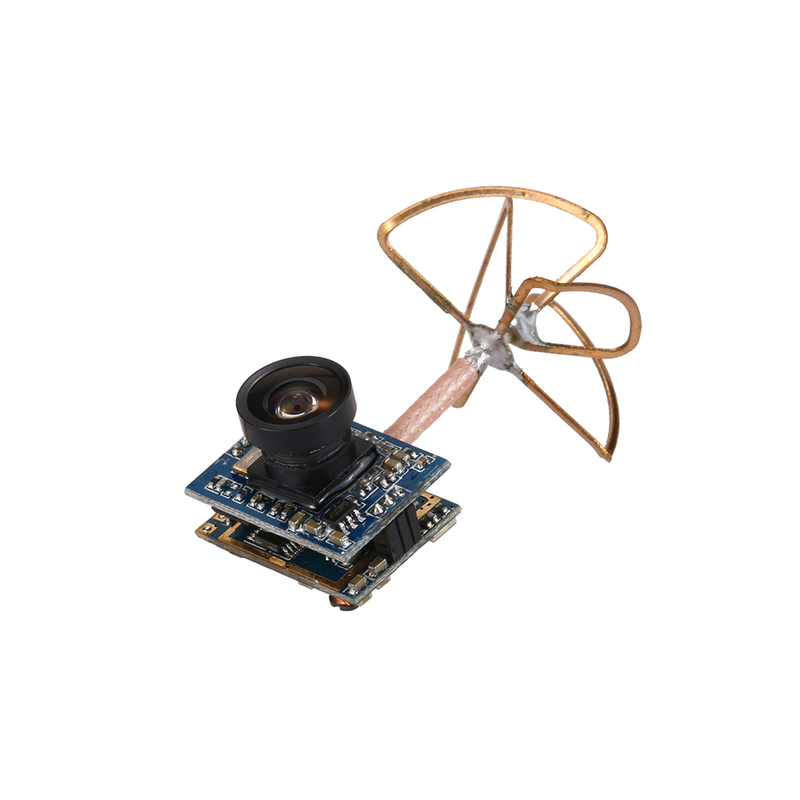 Never before has FPV been so easy, it is small enough to mount on just about any sized RC model you can think of and runs fine on a small single cell lipo or by connecting it to the board power of a quadcopter or other rc product using a single cell (3.7V) lipo. 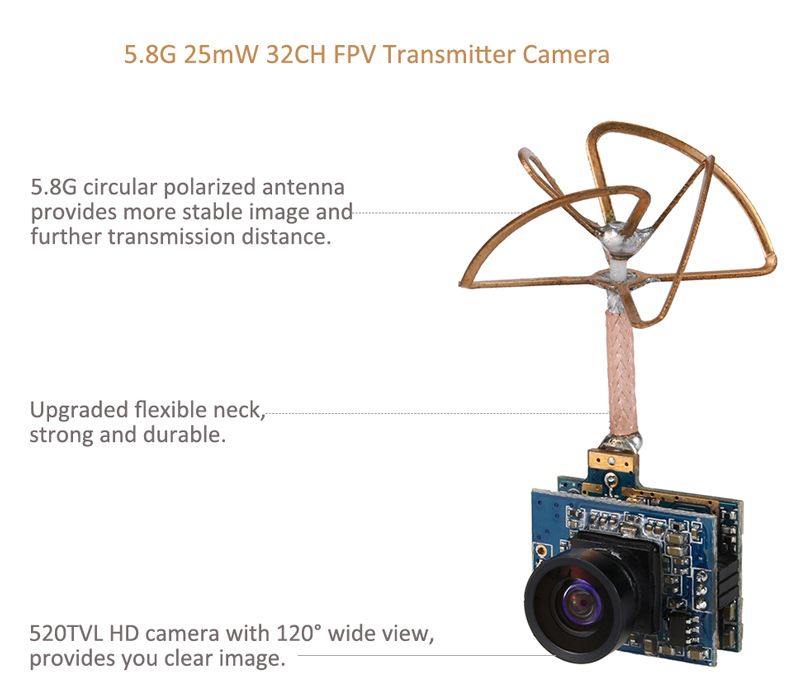 520TVL HD camera with 120° wide view, provides you clear image. 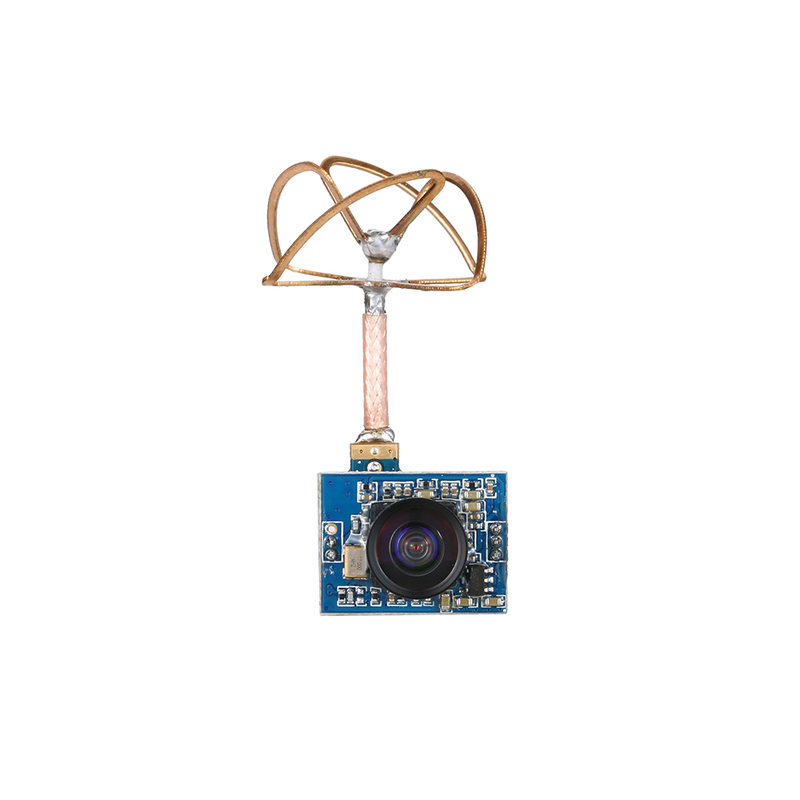 Super small and lightweight, weighs about 5.3g. 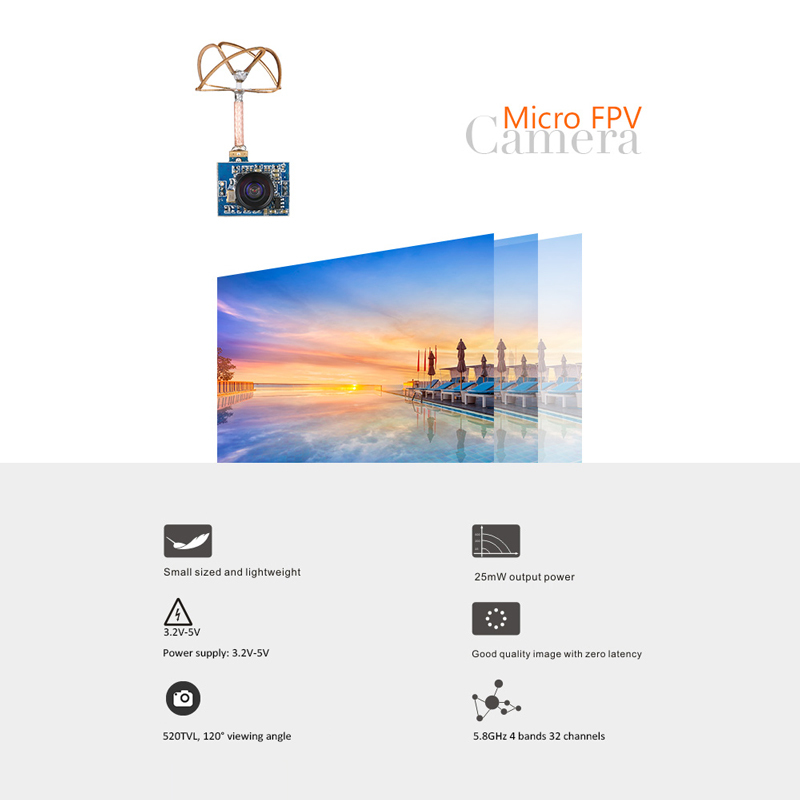 Easy install, plug and play, power supply: 3.2V-5V. 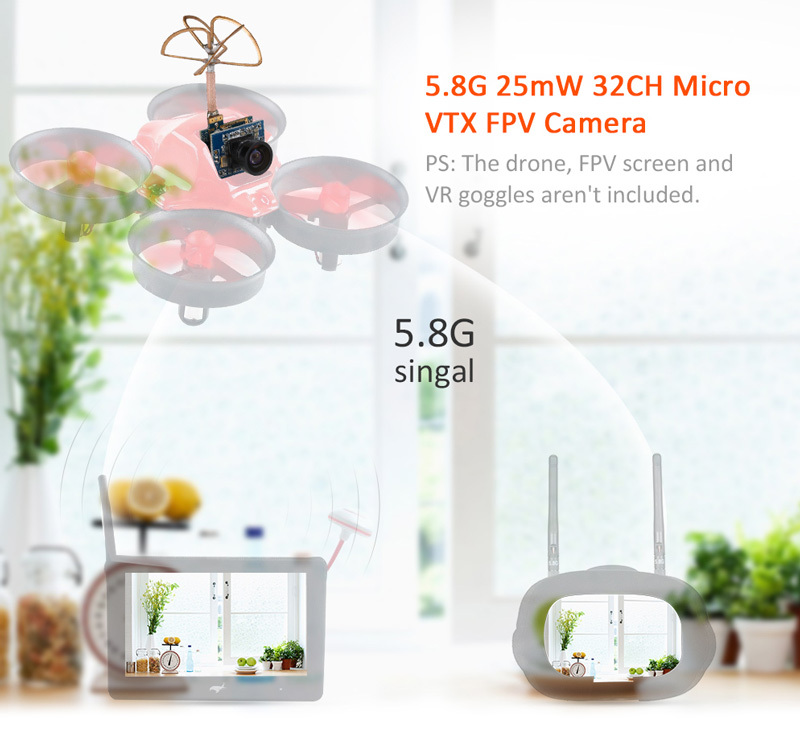 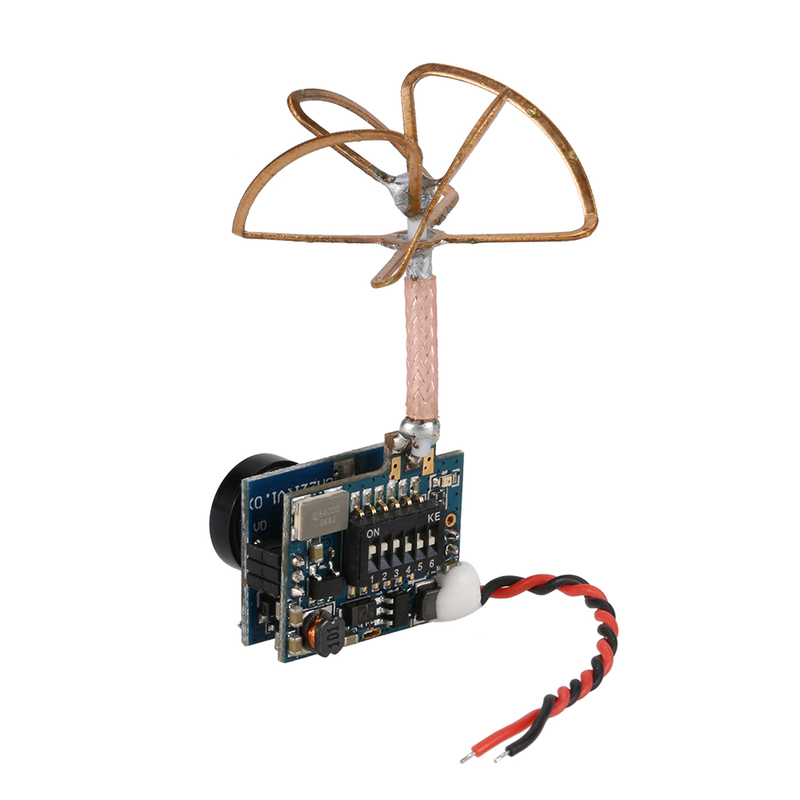 5.8G circular polarized antenna features zero latency and long transmission range.